My son is 2 years old and hates anything on his head but his cap hat. 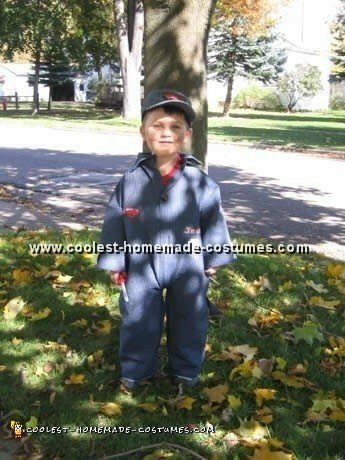 His favorite movie is Disney/Pixars Cars. He had received this cap hat for his birthday so I thought I would make a Lightning McQueen costume to work around the hat. 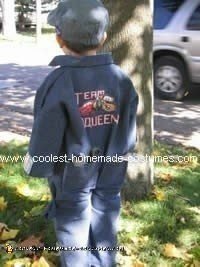 I made him a car mechanic costume and cross stitched by hand his name and on the back – Team McQueen.